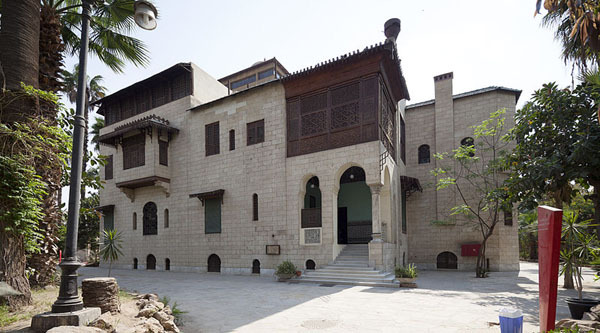 At the northern end of the Citadel, three adjoining, interconnected palaces, known collectively as al-Haramlek Palace, were erected by Mohammed Ali beginning in 1827. 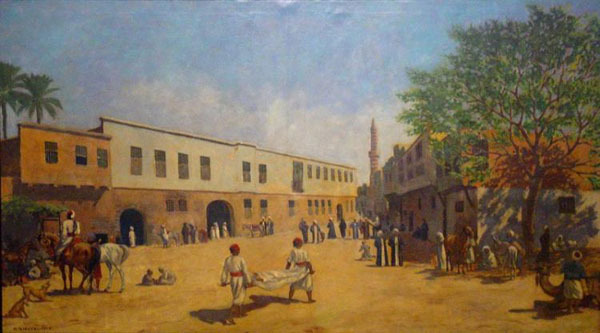 Built as royal residences and offices at the Citadel, they follow the familiar theme of Ottoman palace organization, which divides the structure into a salamlik (men's quarters) and a haramlik (women's quarter). 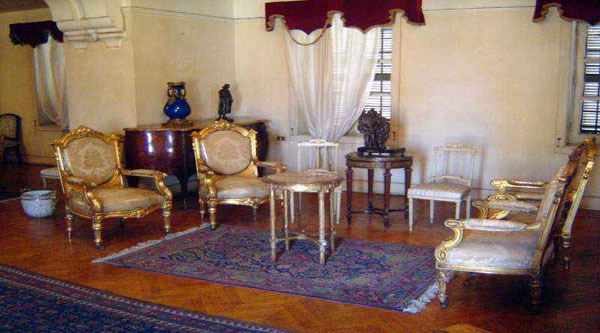 Their surface articulation, heavily copied from European Baroque, is a testimonial to the strength of European styles in influencing the taste of the Pasha of Egypt and his whole court. 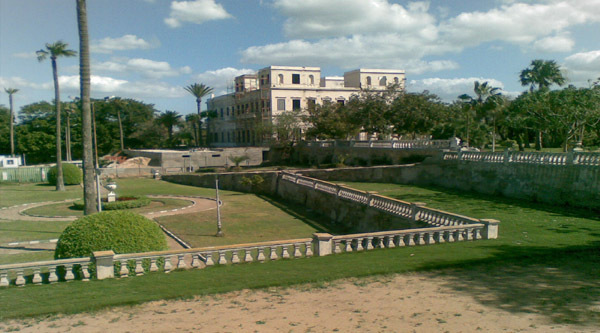 Since 1949, al-Haramlek palace has housed the Egyptian National Military Museum. 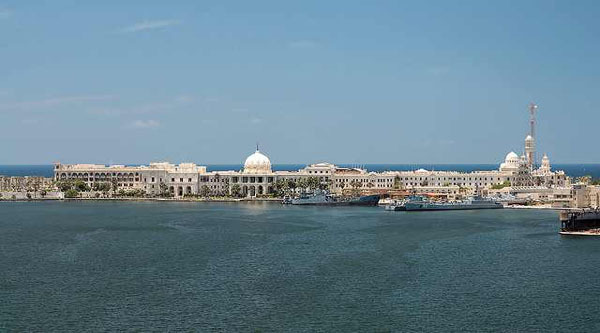 Both the museum and the palace buildings were restored for the Ministry of Defense by the Egyptian antiquities Organization in 1987. Thanks to this restoration, it is now possible to gain a good impression of the original interiors of many rooms in the palace, although only the fountain room on the ground floor retains something similar to its original furnishing. None of the original decoration has survived in the western palace. The rooms are large, high-ceilinged, and airy from windcatchers still in use on the roof of the central palace. The ceilings of the main rooms were painted with a stylized pattern radiating outward from a central ornament; the dominance of gold paint creates the impression of a spectacular sunburst. Painted wall panels repeated romanticized Italianate vistas in shades of blue and green. 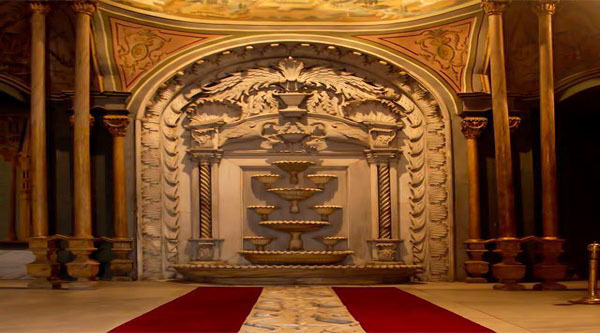 The grey marble salsabil (carved panel over which water flowed) in the fountain room is typically Ottoman, down to the playful fish carved in the channel leading to the fountain in the center of the room. The play of water from the fountain in the dry summer heat provides another kind of air conditioning, also much used in the desert palaces of Persia. On the ground floor of the central palace (the oldest of three), a traditional hammam (Turkish bath) has been restored. The domed ceiling has insets of coloured glass to give a subdued but cheerful light to the two-room suite, one for steam, the other with a cool water bath hollowed out of one piece of grey marble. 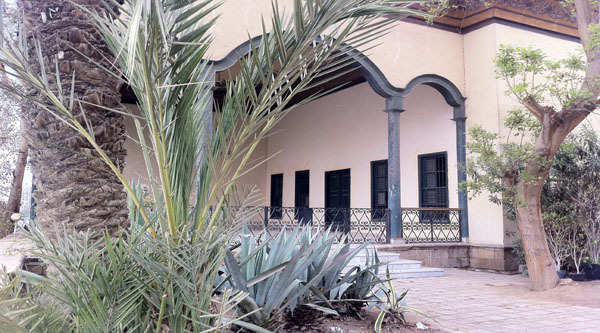 The inscription over the entrance in the southern façade of the eastern palace says: “Al Haken Al Ali Al Sh’an built a new palace as a piece of art. It is a palace like heaven. 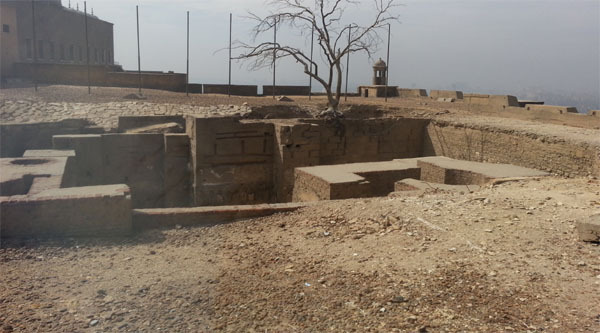 What a wonderfully decorated palace it is!” What remains compels visitors to agree.